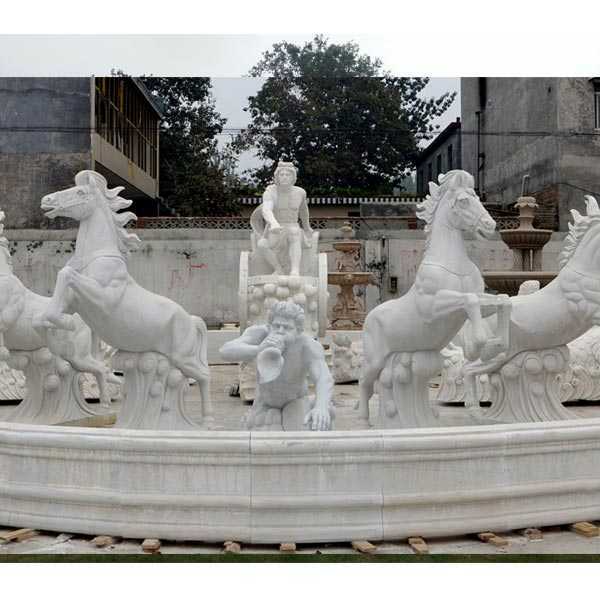 How About this Giant Outdoor White Marble Fountain with rearing horse statues,having shocking you?All this details be carved carefully,like the eyes of persons and horse,You Fine Art Sculpture Focusing on Every Details of The Giant Marble Fountain. 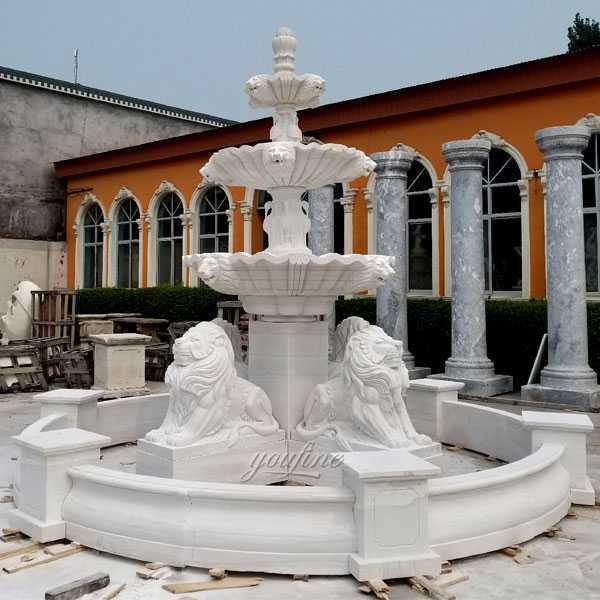 The pricing of Giant Outdoor White Marble Fountain have varied significantly in recent years due to the rising prices of the marble from which they are made. 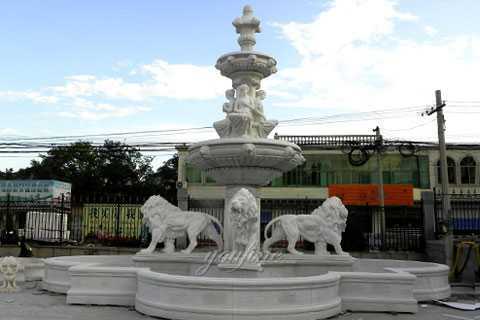 Please call us to get the best available price for your favorite fountain. 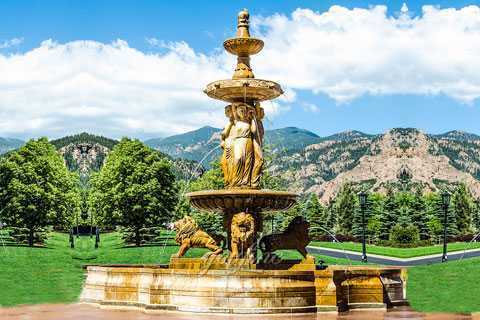 Our supplier is keeping fewer tiered water fountains in stock, due to the lagging economy. 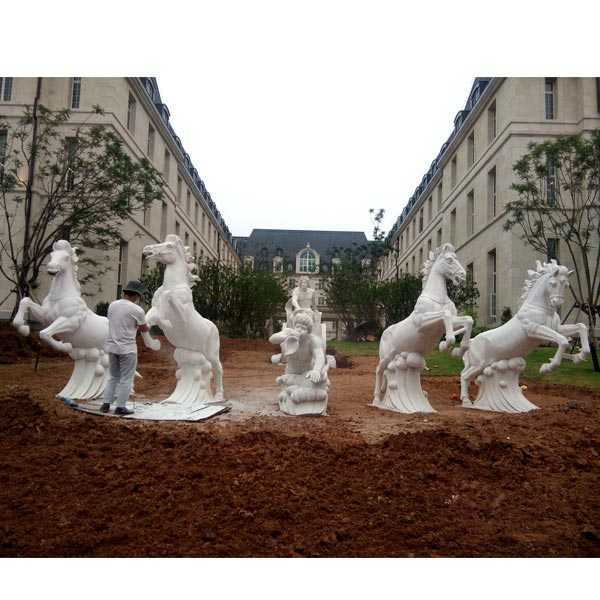 Many fountains will need to be special ordered and will be brought in on 2-3 containers per year. 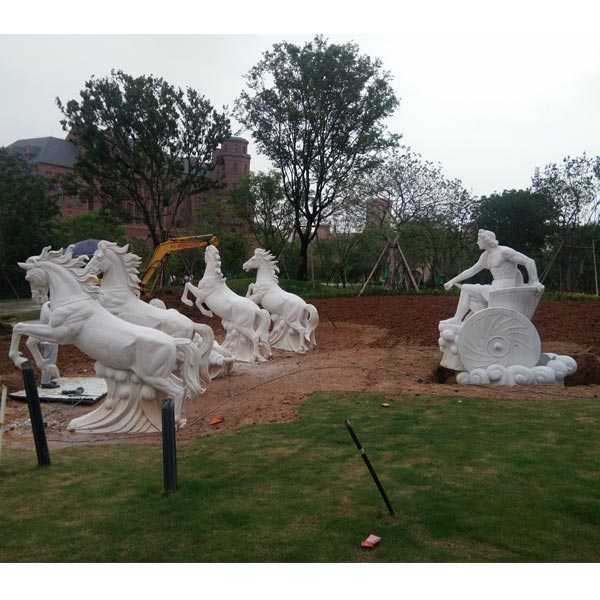 So plan to order well in advance in many cases! 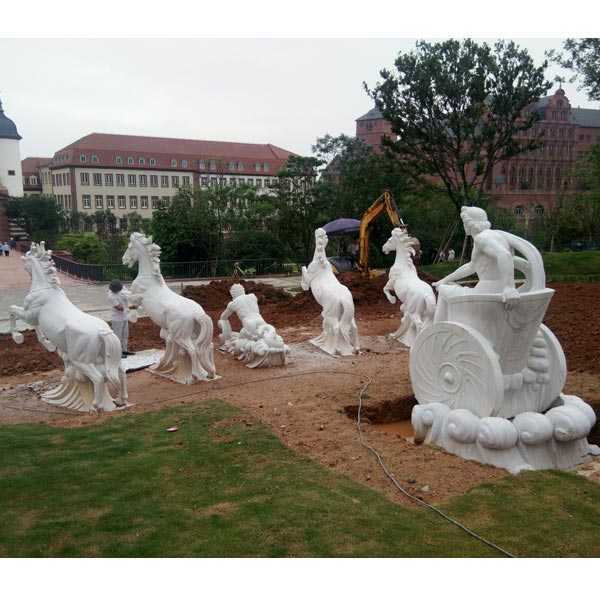 Prepayment is required for these special orders. 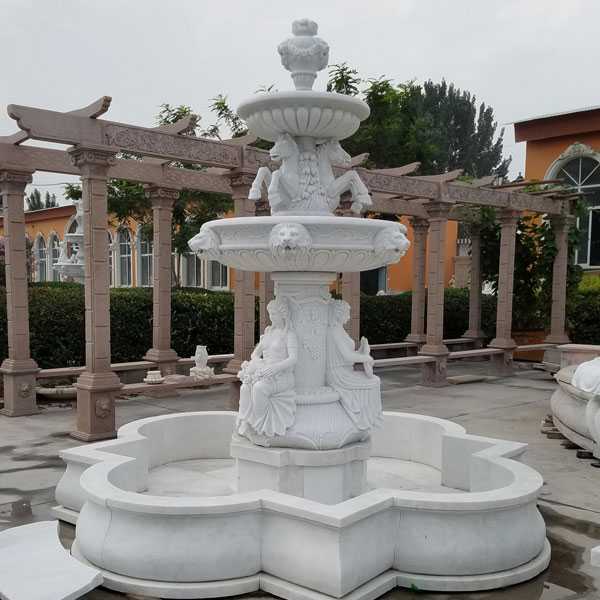 Any requirement about Giant Outdoor White Marble Fountain,or want to other sculpture in marble to decor your garden,please contact with us right now ! 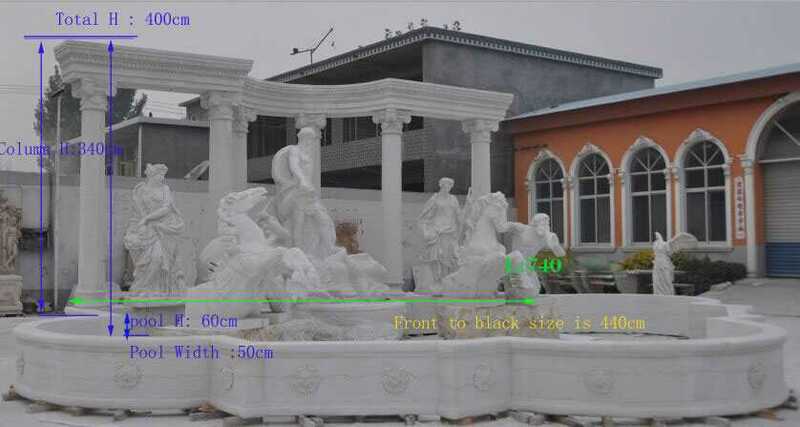 NOTE:These are Giant Outdoor White Marble Fountain.Once ordered,the order cannot be cancelled and no returns are permitted. 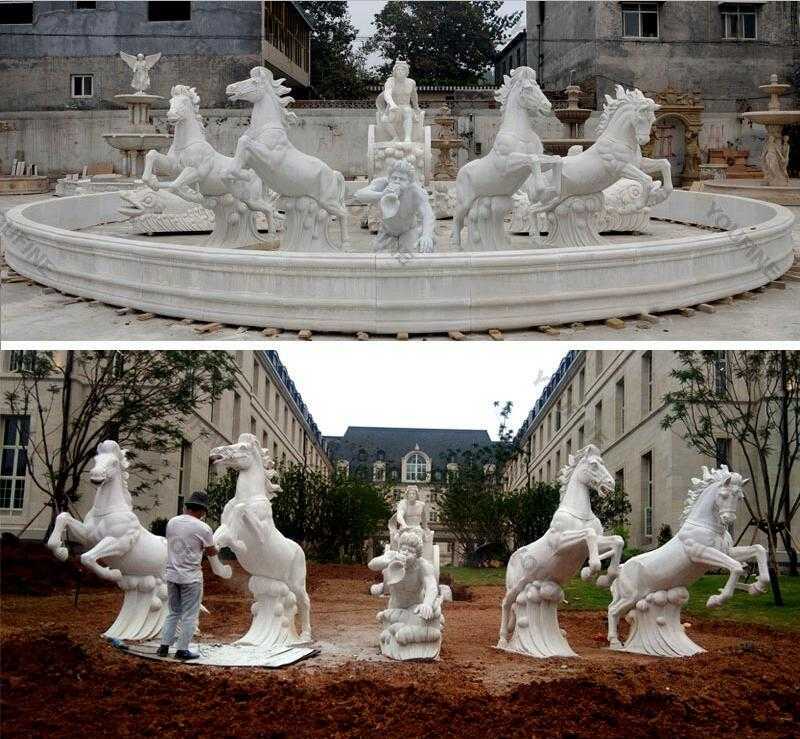 In the unlikely event that a fountain arrives damaged,the manufacturer may repair or replace the fountain.